We're going whimsical today with Mitzi Powers' Jolly Penguin & Friends collection. 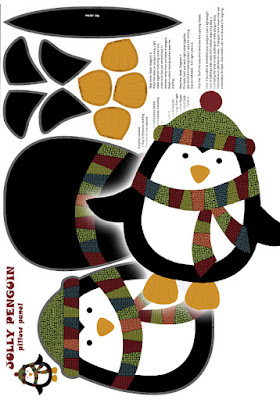 Adorable penguins sporting scarves, hats, and ear muffs, and snowflakes and festive trees! 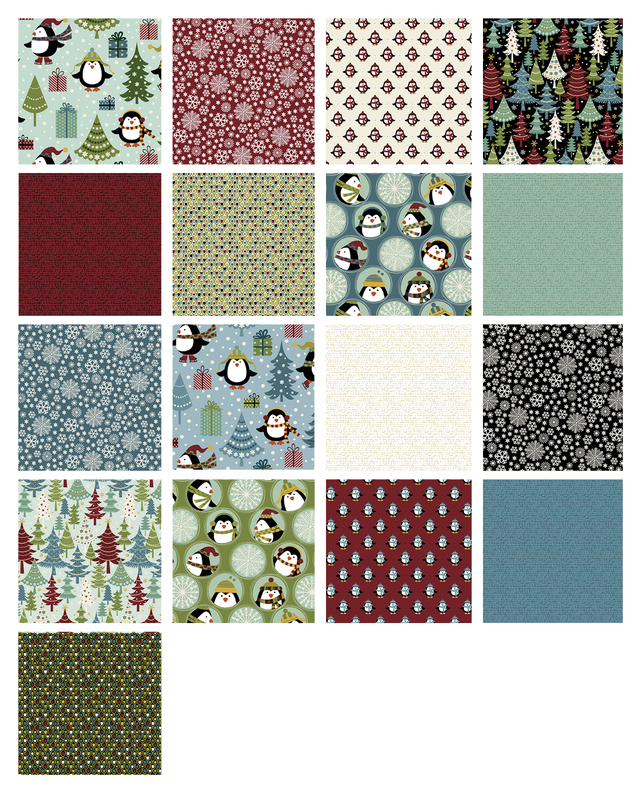 The penguin panel makes a cute pillow or can be incorporated into a quilt (see the free quilt pattern below). Much of the collection is available in flannel as well if you'd like a cozier option. 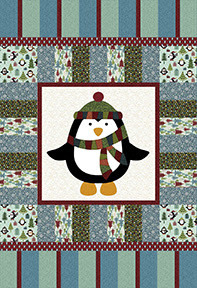 The penguin panel takes the spotlight in this "Chilly Penguin" quilt designed by Janet Page Kessler. Those penguins are so adorable! They "almost" give me a chill as I think about the icy conditions they live in. (As I sit in almost 100* weather!) Great fabrics to play with! So cute.It smells Christmas with these penguins. Chilly Penguins welcome here to assist in cooling off. Cant wait for the rest of the Christmas sewing tutorials and hop. Thank you. Love the penguins! Think I need to purchase some new flannel.